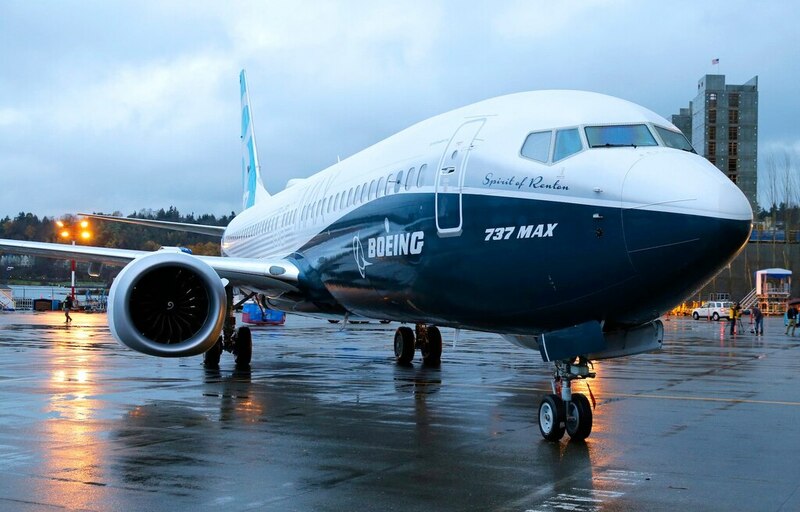 Boeing is slowing production of the 737 Max aircraft following two crashes of the aircraft over the past six months. The company also admitted fault in the accidents, driving the stock down nearly 4% Monday morning. Boeing’s stock dropped nearly 4% in early trading Monday after the company put out a statement admitting to fault in the two crashes of the 737 Max aircraft and said it was slowing production of the aircraft. The company’s statement came after Friday’s close. “We now know that the recent Lion Air Flight 610 and Ethiopian Airlines Flight 302 accidents were caused by a chain of events, with a common chain link being erroneous activation of the aircraft’s MCAS function,” the company’s statement said. “We have decided to temporarily move from a production rate of 52 airplanes per month to 42 airplanes per month starting in mid-April,” the statement additionally noted. Investors took both of these developments to mean that the grounding of the aircraft, ordered by governments around the world, may be longer than thought. A research note from Bank America Merrill Lynch, cited by CNBC, estimates the grounding might stretch up to nine months and lead to increased flight cancellations. American Airlines on Monday announced the cancellation of an additional 5,000 flights. 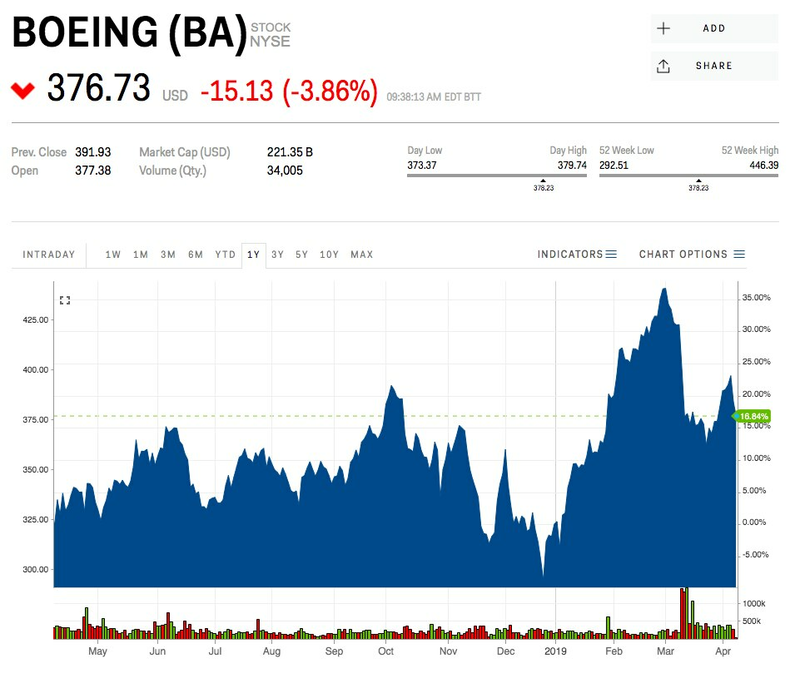 Boeing remains the most heavily weighted stock in the Dow Jones index and its volatility has caused oversized fluctuations for the index, both up and down. The company’s order book for the 737 Max remains over 5,000 as customers have stuck with the airline. Boeing was up 21% this year through Friday, and was trading near $377 a share.